One you have cooked your asparagus you are going to want to whip up a batch of easy hollandaise sauce and then make a cocktail using cucumber infused gin. All sous vide recipes. It is easier learn how to cook asparagus than you may think. Asparagus can go from crisp to over done faster than a pot of water boiling over. Set up your sous vide. I am using a large heavy bottom pot. Make sure your vessel is large enough to fully submerge your sous vide bag. Make sure you protect your surface. Set your sous vide to 180 F.
Trim the dry ends off the asparagus. 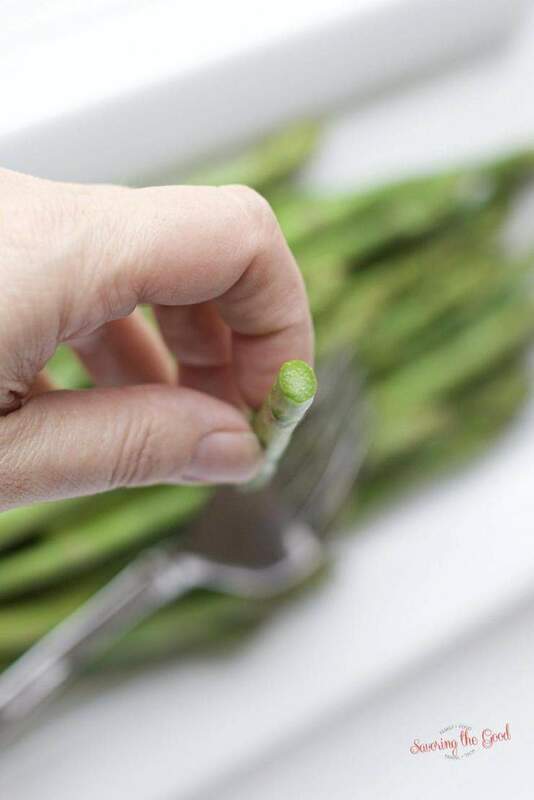 In a zip top or sous vide bag, place the asparagus and a few spoons for weight. Using the water displacement method to force the air out of the bag. So by pressing the asparagus, in the bag, below the surface of the water the pressure of the water will force the air out of the bag. Just don’t let the water go IN the bag. If your asparagus bag is still floating use something to weight it down. Make sure the asparagus is below the water level. Set the timer for 10 minutes for crisp and asparagus with a snap. Set the timer for 20 minutes if you like your asparagus to have a fold and a bend before it snaps. Normally when you sous vide, there is no cary over cooking if you were to leave the product in the water. Asparagus is on the the exceptions. It WILL continue to cook if you leave it in the water. Not the best photo BUT this is a perfectly cooked piece of asparagus. 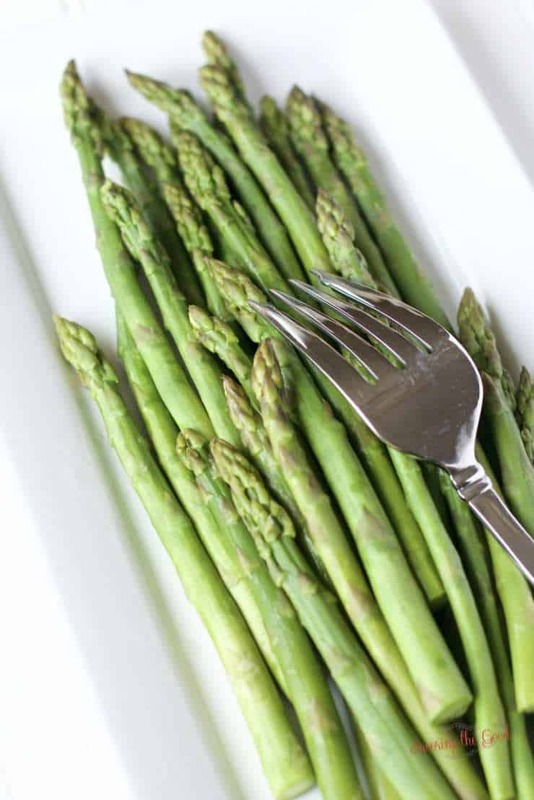 What is the perfect accompaniment to asparagus? Don’t let the asparagus sit in the water. It is easier learn how to cook asparagus than you may think. Asparagus can go from crisp to over done faster than a pot of water boiling over. With the help of this sous vide asparagus recipe your asparagus will be tender, crisp and full of flavor. I find this is a fail proof way on how to cook asparagus. My asparagus is just now coming up in my garden. I am going to try this this weekend.